Welcome to this custom builder-owned ode to Perfection. Inspired by travels to Europe, every element of this private Shangri-la points to one word-Quality. From the cedar shingle roof w/ 50 year warranty (3/4 shingles rather than the average 1/2 thick) to the vaulted ceilings and exposed trusses, to the custom millwork such as arched passageways and crown molding & Baldwin hardware, be prepared to be impressed. 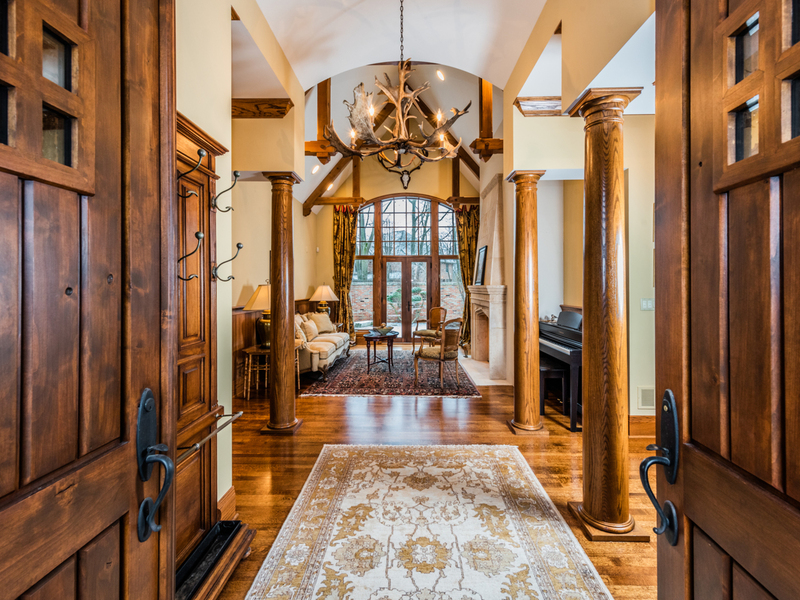 Additional features include an imported hand carved stone fireplace, slate floors, quartersawn oak floors & well designed first floor master suite with custom closets and beautiful master bath with premium grade finishes. Fantastic flow to this home-the kitchen is loaded with everything the luxury buyer demands-from the 40 bottle Viking wine refrigerator to the commercial grade 1000 CFM fan.The outdoor living space is breathtaking, & includes 2300 square feet of beautifully landscaped courtyard with salt water pool, surrounded by a 6 1/2 foot tall brick wall. Must see. Please, send me more information on this property: MLS# 10155356 – $995,000 – 26556 North Topanga Trail, Wauconda, IL 60084. I would like to schedule a private showing for this property: MLS# 10155356 – $995,000 – 26556 North Topanga Trail, Wauconda, IL 60084.